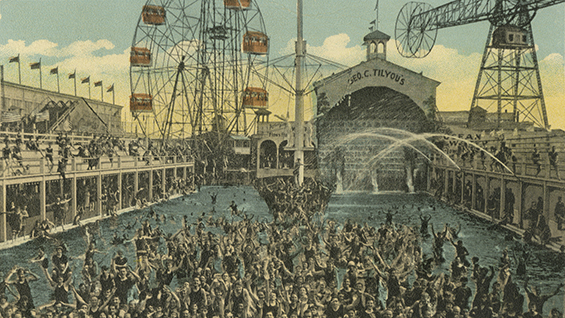 Steeplechase Amusement Park, Coney Island, N.Y. c1900. Courtesy of the Joseph Covino New York City Postcard Collection, The Irwin S. Chanin School of Architecture Archive. In conjunction with the exhibition New York City Beaches, located in the School of Architecture's 3rd Floor Hallway Gallery, Archive Collections Manager and Grants Liaison Chris Dierks, the exhibition curator, will speak about his research on the development of the waterfronts of Coney Island and Rockaway at the turn of the 20th century.